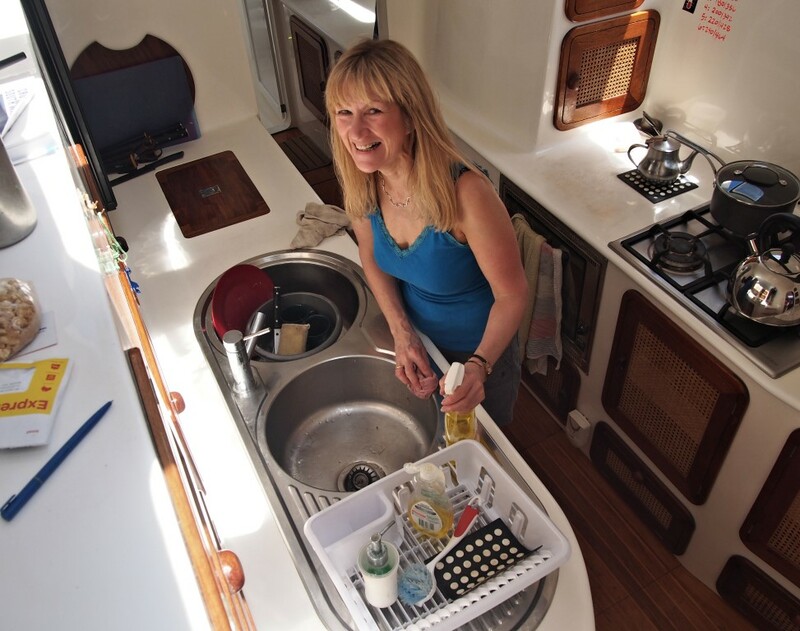 My good friend Lisa (who sailed with me in New Zealand, last year) was getting winter cabin fever in her home port of Falmouth, Cornwall, United Kingdom, and has a spare month. 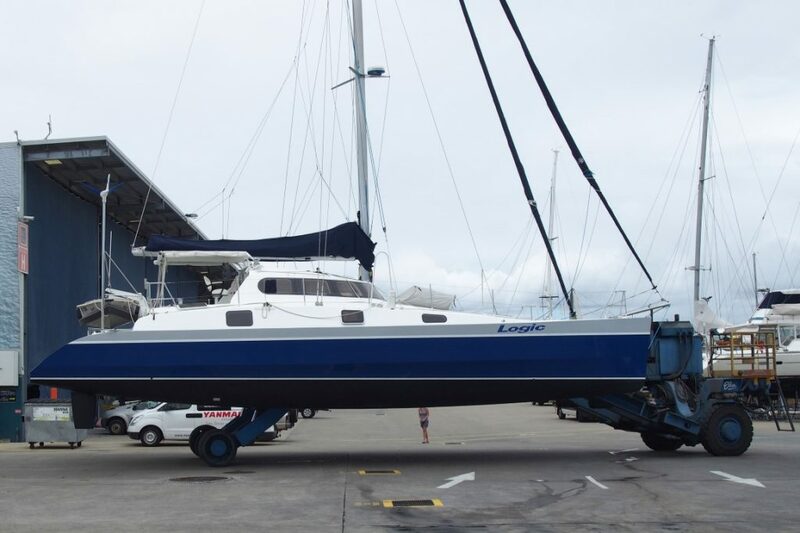 The dynamics worked so well last time she came cruising on Logic, that the offer for her to join me, for a month of cruising down the east coast of Oz was irresistible. 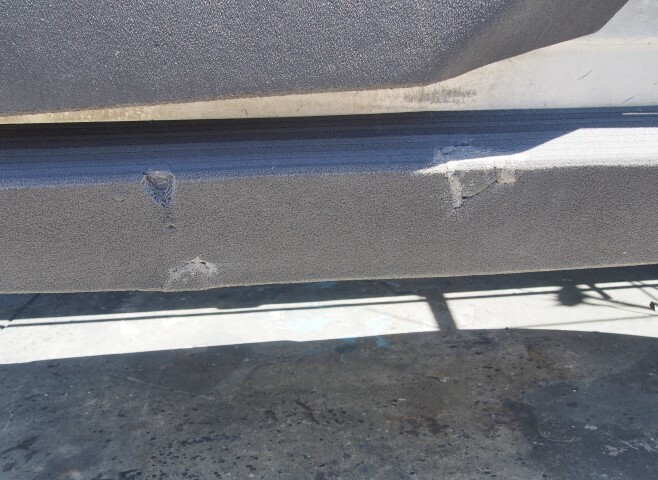 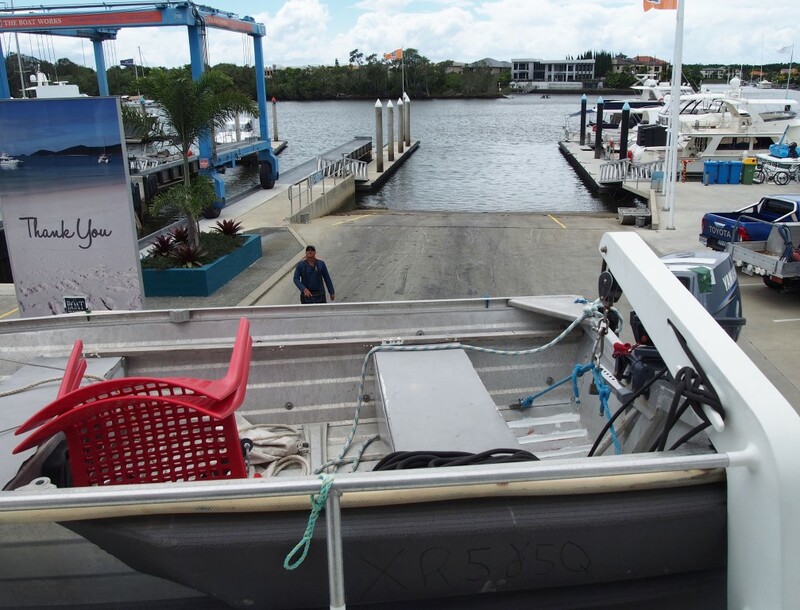 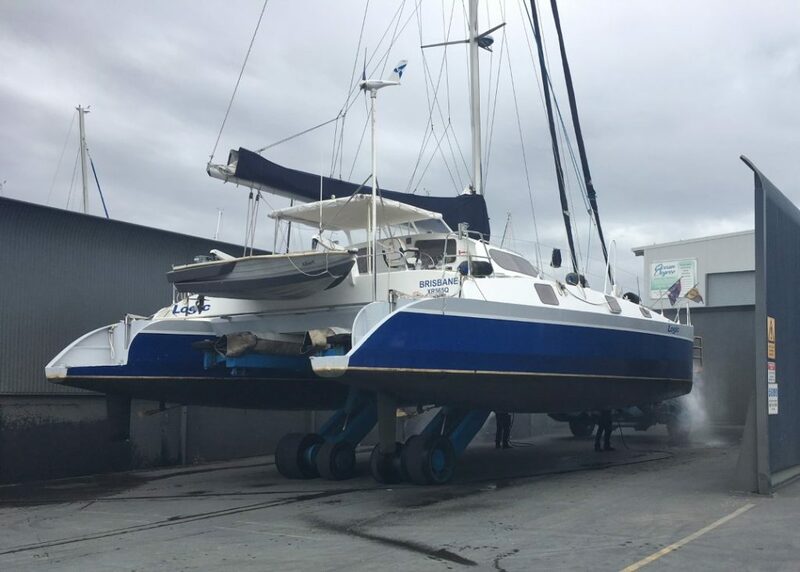 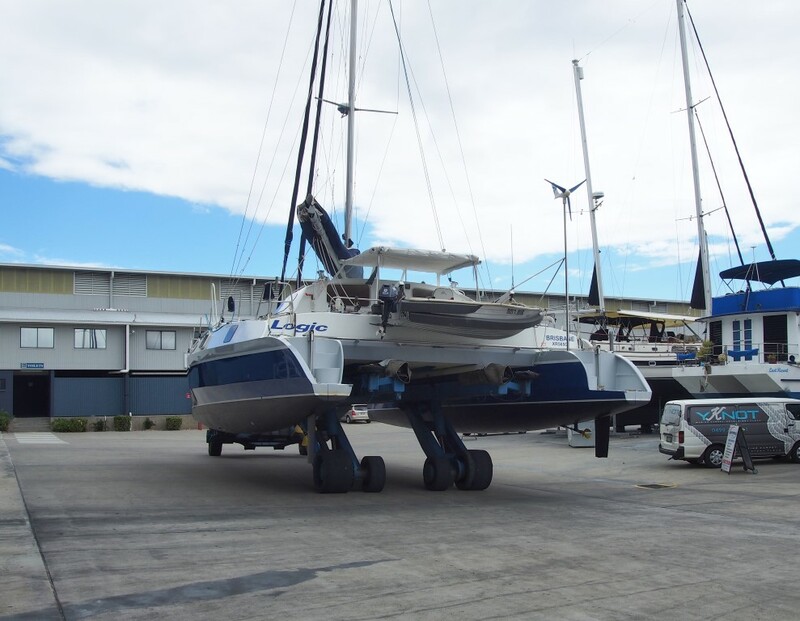 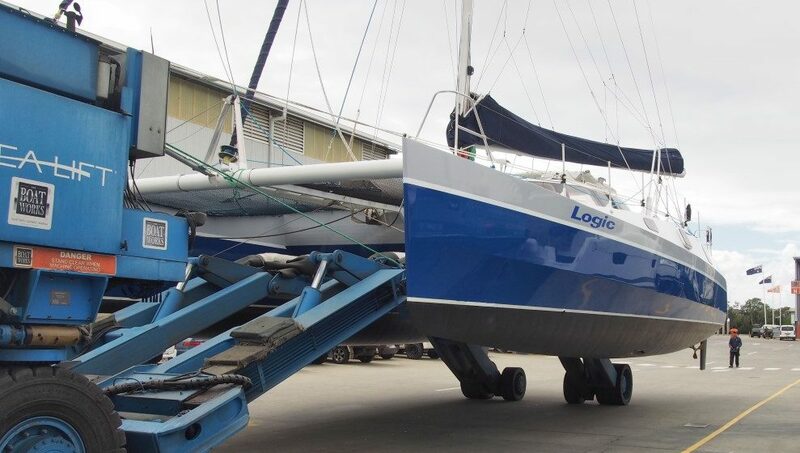 The best place to slip Logic on the east coast of Oz, for her yearly antifouling is The Boatworks, just south of Brisbane. 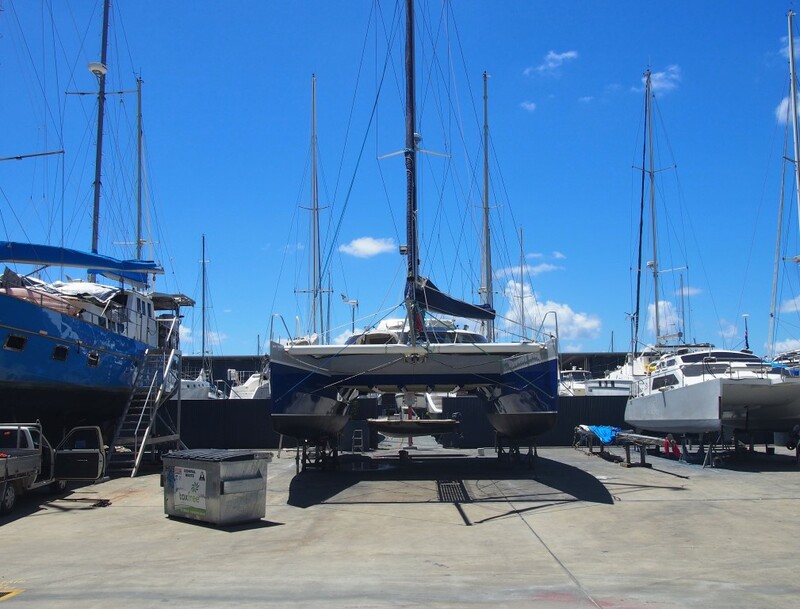 But the weather at this time of the year regularly throws up, hot days of 35C (95F) plus. 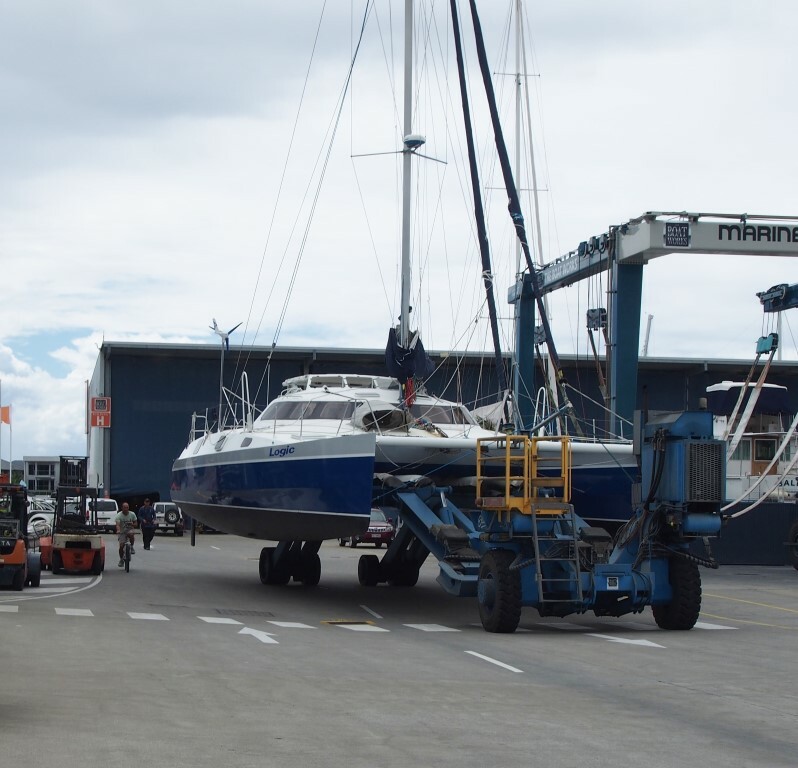 Being in a boat yard, on concrete, at 35C, working on a boat is not somewhere one would choose to be. 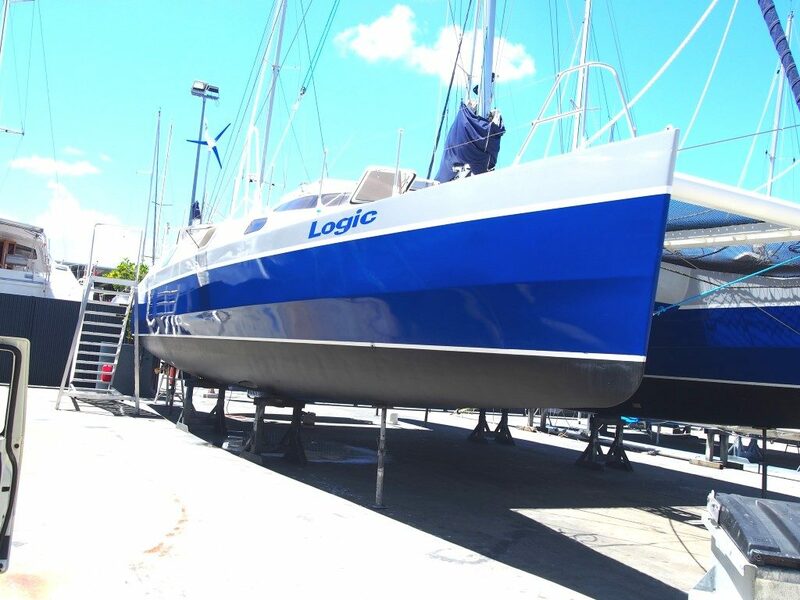 I dodged a bullet, there were 35C days in the weeks either side of when Logic was up, but only mid to high 20s for her slipping. 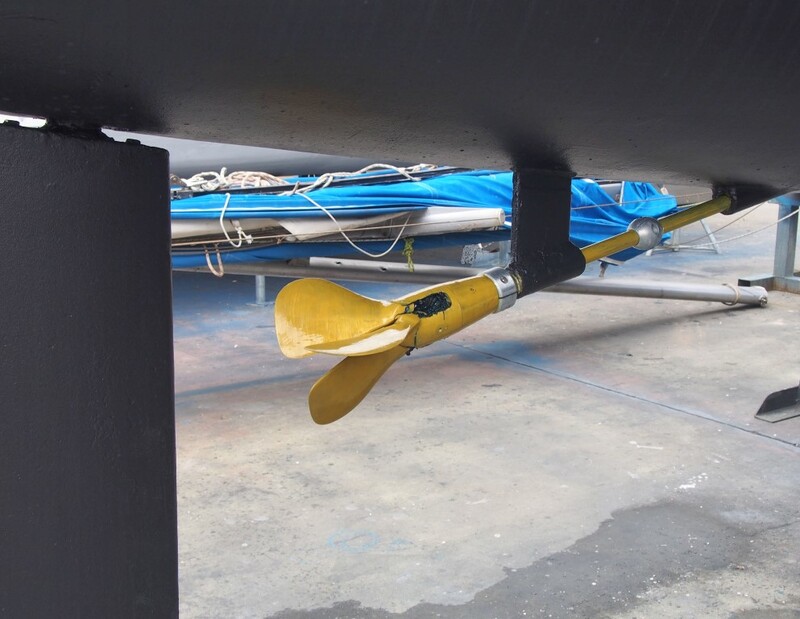 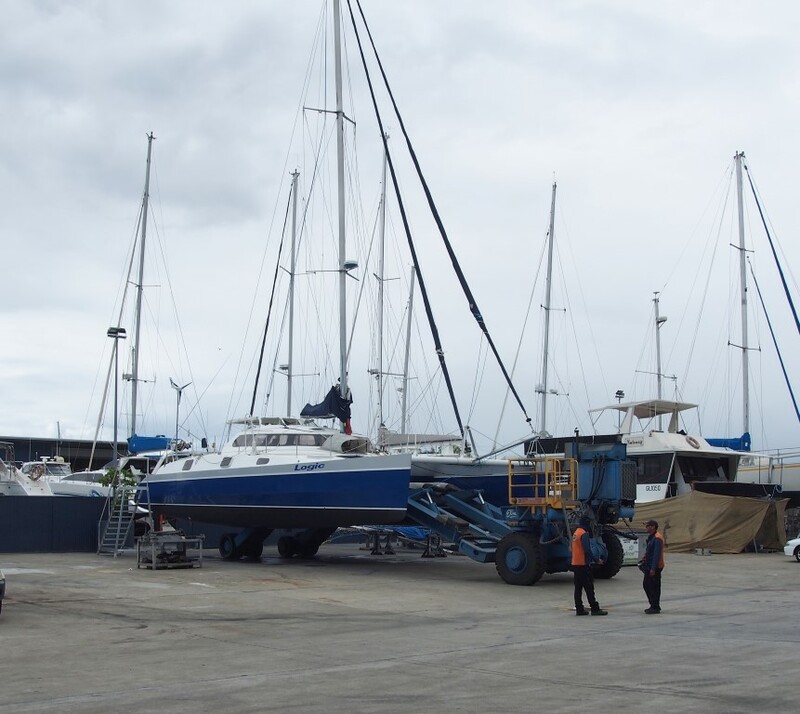 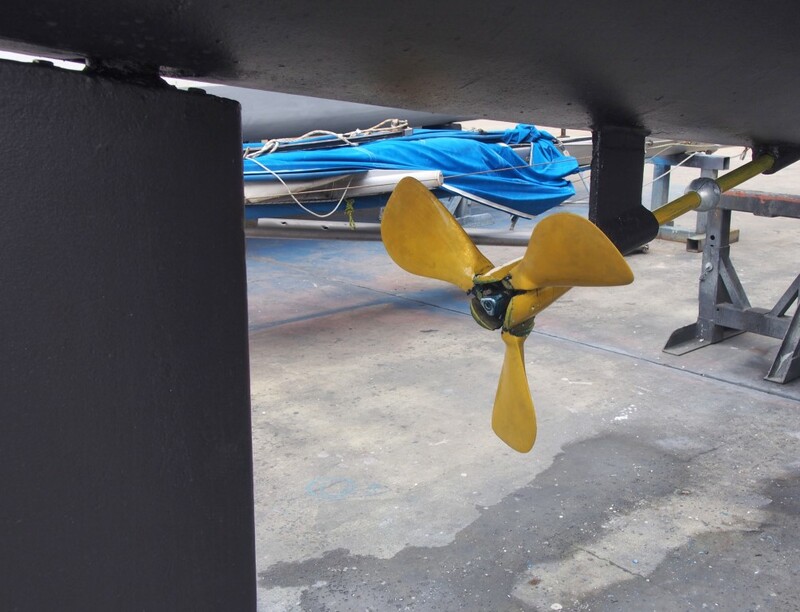 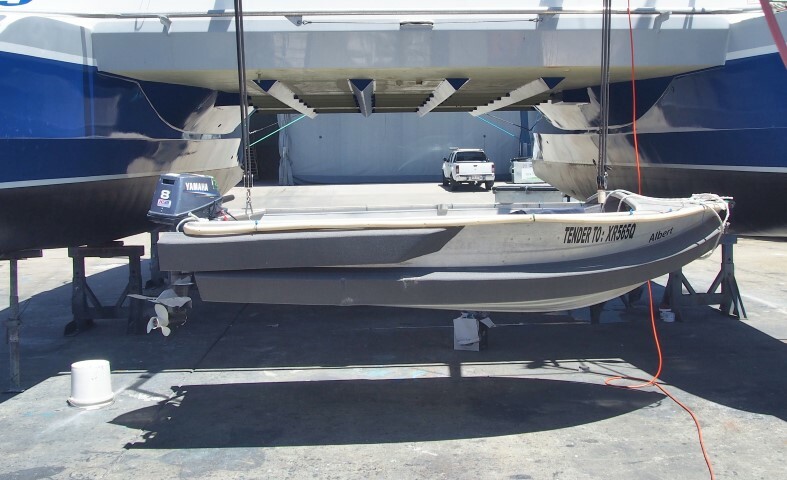 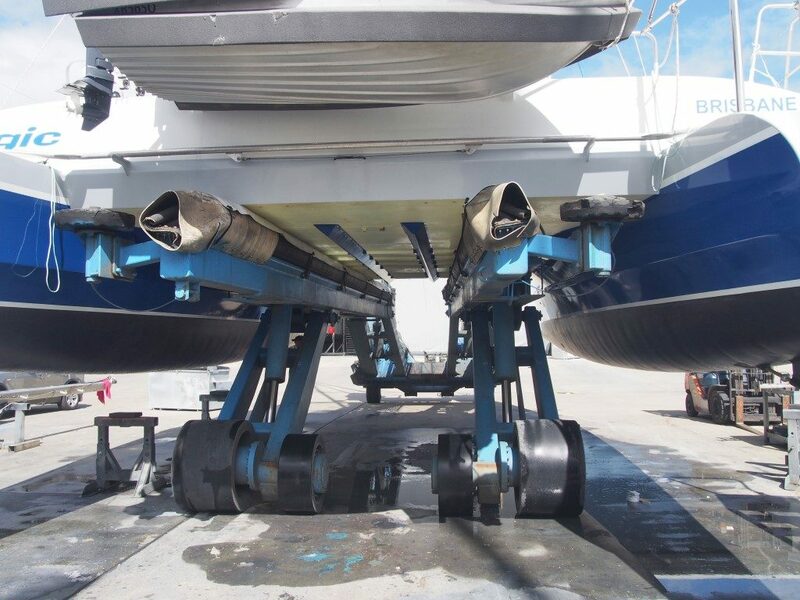 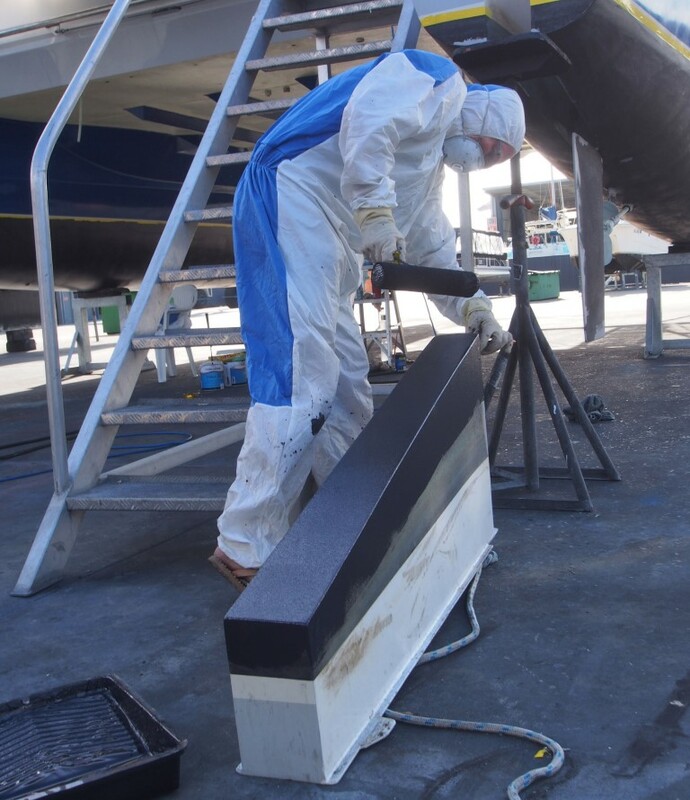 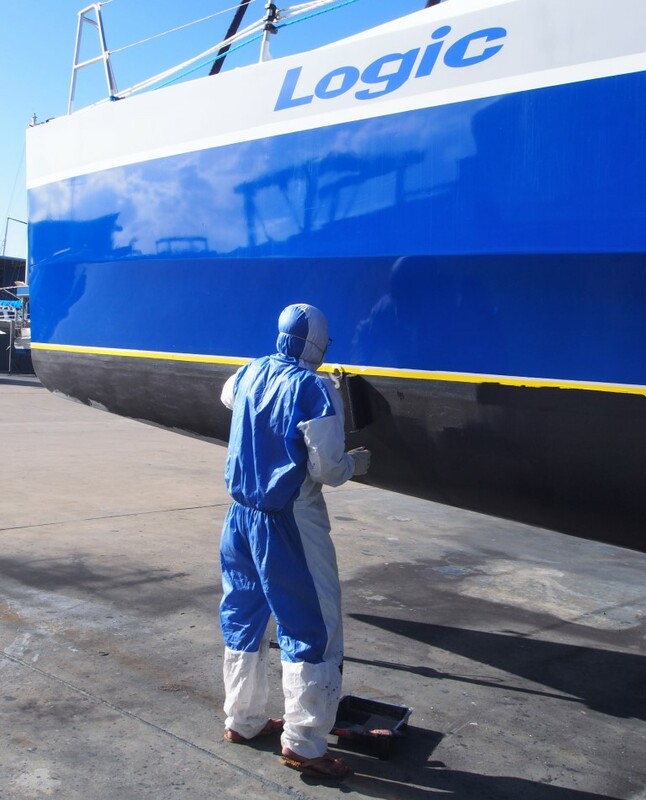 While it was possible to pay someone to do the antifouling preparations and painting, I prefer to do it myself, that way I can give the hull a good inspection and know the antifouling has been applied exactly how I want it.